Anthony’s Hockey Team Wins League Championship! Hey, that looks a lot like the Stanley Cup trophy! You may not always think of South Florida and ice hockey in the same breath, but Associate Client Advisor Anthony LaBrake, CFP® shows that, despite the palm trees and sandy beaches, many diehard hockey fans now call South Florida home. Anthony has been playing the game since he was 7 and continues to play today on more than one of Palm Beach County’s men’s league teams. 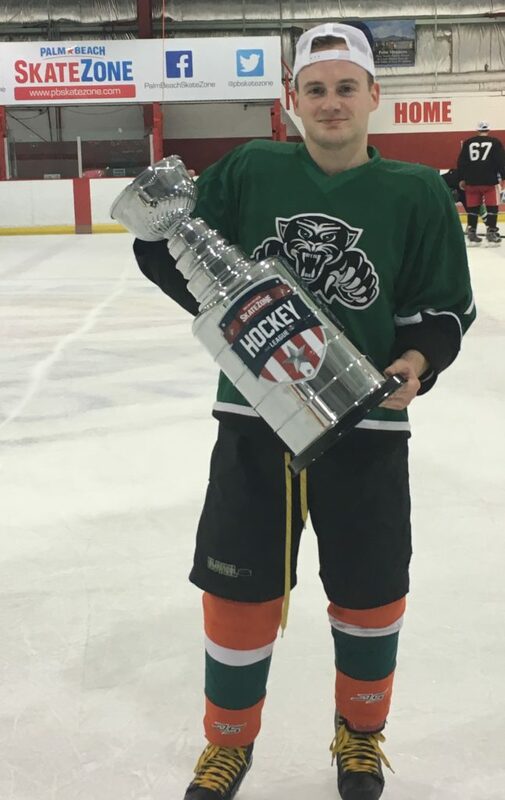 We’re proud to share that earlier this month, one of his teams, playing out of a rink in Lake Worth, won their league championship. Way to go, Anthony! That’s him at right with the championship trophy.